Patrick Riley grew up in San Antonio, Texas, but moved to North Carolina to attend college at Wake Forest University. After a brief stop in England at Oxford University he attended Wake Forest for law school. Patrick and his wife moved to Eastern North Carolina after law school. Patrick enjoys helping clients navigate the legal process. He focused his practice on financial matters from day one. Patrick has experience working on Chapter 7, 11, 12, and 13 bankruptcy cases. He has represented individuals, businesses, local governments, and served as special counsel to a former Chapter 7 Trustee. 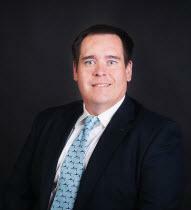 Patrick also has experience helping clients with estate planning and other financial concerns. He became an Accredited Financial Counselor ® and enjoys educating clients about personal finance. His book, "I Hope I Never See You in My Office" (ISBN 978-1-4580-9810-8) was published in 2011. Patrick is working towards becoming certified as a specialist in business and consumer bankruptcy with the North Carolina State Bar and scheduled to take the certification exams later this year.